Opened by a speech from Dr. Ir. 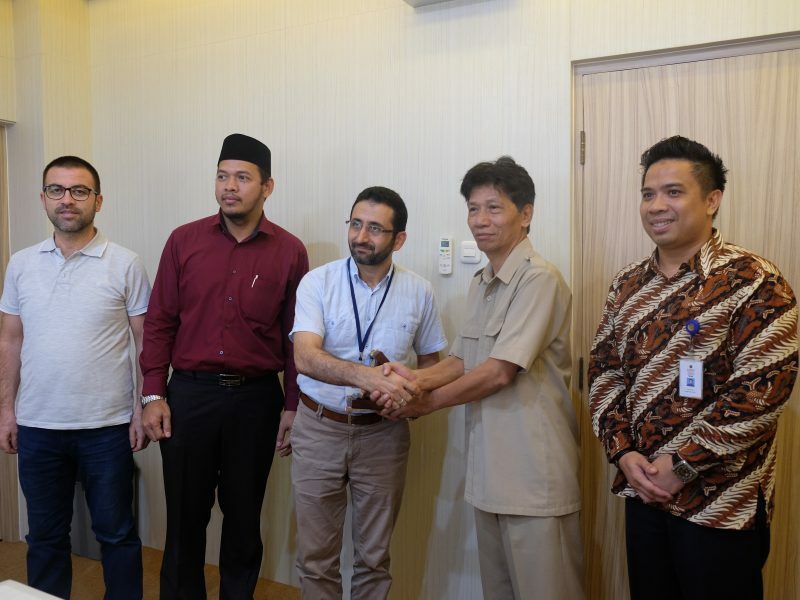 Gunawan Budiyanto, MP as the Rector, Universitas Muhammadiyah Yogyakarta (UMY) welcomed visitation from International Fatih Sultan Mehmed School, Istanbul, Turkey which accompanied by teachers and students from Madrasah Mualimin Yogyakarta. Held in meeting room on first level of rectorate Building (22/1), the visit also joined by the director of UMY International Affairs, Mr. Yordan Gunawan which in a meantime also delivered presentation and socialized of study fields in UMY to the International Fatih Sultan Mehmed Schools’ Teachers and students consisted of 8 Turkish, 1 Albanian, and 1 Egypt student. “We would like to say welcome to all students and teachers from International Fatih Sultan Mehmed School. We are very proud to have you here and we also have students from Turkey taking English Education. We hope that later there will be more students from Turkey to study here,” declared by Mr. Gunawan Budiyanto as UMY open-handedly welcomed the students enthusiastically in this young and Global Campus. Furthermore, the rector explained about the study field and interest of Foreign Student to take their study in UMY including the Turkish students. The Vice Principle of International Fatih Sultan Mehmed School, Mr. Mahmud Calep expressed their gratitude as there warmly welcomed by UMY. “It’s such an honor for us to be here where we know that there are Turkey’s students here. I also expect that after this program our students are interested to study here. In our school, we also have eight students from Indonesia. We hope there will be more Indonesian students,’’ told Mahmud whilst also added information regarding 8 Indonesia students whose taken their study in Turkey. “Actually, we have already delegated students accompanied by teachers and today is their return visit. This is called as sister school program from Mualimmin Yogyakarta. One of the activities during this program is visiting UMY to introduce this campus to students of Turkey. Who knows there will be students of Turkey interested in studying in UMY,” said Mr. Ali Aulia, LC. M.Hum as the director of Mualimin Yogyakarta and Lecturer of UMY Communication Study. 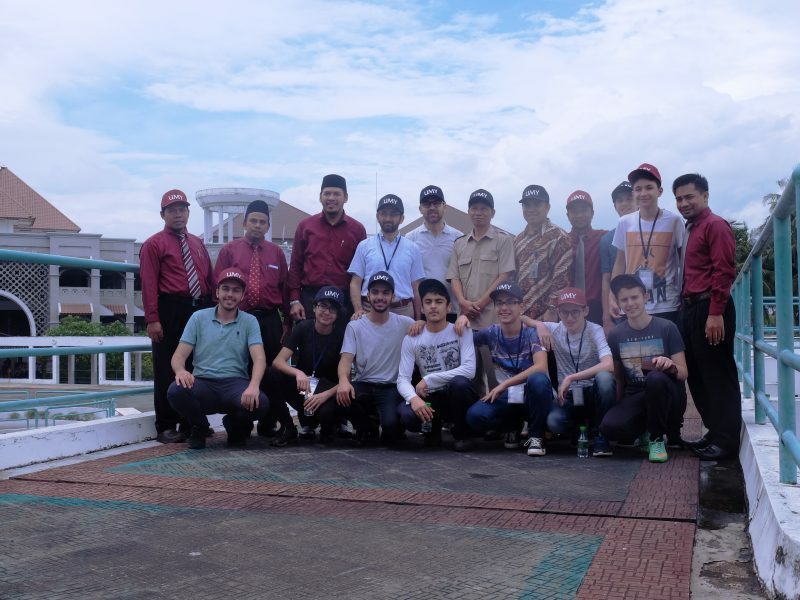 He was also claimed, the program conducted as a part of cooperation within Mualimin Yogyakarta and International Fatih Sultan Mehmed School did involve the Turkish students to take an exchange program in Madrasah Mualaimin Yogyakarta, started from January 18-February 2, 2018.